In Radical Religion in Cromwell’s England Andrew Bradstock aims to provide a concise and accessible history of the most notable radical religious groups of the English Civil War and Commonwealth periods. In addition to an introduction and conclusion, the book is divided into seven chapters, one dedicated to each of the following groups: Baptists, Levellers, Diggers, Ranters, Quakers, Fifth Monarchists and Muggletonians. Bradstock writes in a clear and comprehensible way, making the book suitable for students and general readers as well as the more serious scholar. In handling the content, the author has achieved a good balance between the big picture and smaller-scale detail and, because each chapter stands alone, the book can be used selectively by those who wish to fill specific gaps in their knowledge. Bradstock clearly has a real affection for these radical religious groups, but he does not allow his obvious enthusiasm to detract from the need to offer balanced profiles. Throughout the book, a particular effort is made to address the role of women within each movement, presumably in order to rectify omissions in previous introductory sources. The book offers a wide range of fascinating insights into the hopes, fears, excitement and disappointment of this turbulent period. Established structures of social control had broken down, apocalyptic expectations were running high and the prospect of further revolutionary change was very real. First and foremost, the radical religious groups under consideration here were regarded as dangerous and threatening to those in power because they were intent on dismantling the very basis of social order within a Feudal society: the church-state power block. It was commonplace in seventeenth-century English radicalism to attribute the country’s ills to the Norman Conquest and the Feudal system it established. Within this system, established religion functioned as the principal agent of social control. Bradstock quotes Charles I saying that “people are governed by the pulpit more than the sword in times of peace” (p. xv). Not surprisingly, all these radical religious groups faced persecution of one form or other at the hands of the authorities. They were portrayed as what Stanley Cohen has called ‘folk devils’ and were linked in particular with the greatest religious folk devils of the time, the violent Anabaptists of Munster from a century or so before. In many ways, the first three groups considered (Baptists, Levellers and Diggers) reflected the radical optimism generated by the Civil Wars of the1640s, whereas the latter four groups (Ranters, Quakers, Fifth Monarchists and Muggletonians) represented a variety of responses to the disappointment and despondency caused when those hopes and expectations were not realised. In particular, the crushing of the Levellers and the Diggers in 1649 appears to have set the scene for the development of the four radical groups that emerged in the 1650s. Of the ‘groups of hope’, the Baptists were ‘free church’ pioneers; the Levellers were reformist proto-democrats and the Diggers utopian anarcho-communists. Of the 1650s groups, the Ranters were nihilists raging against the system, the Quakers offered an inward path to spiritual and social transformation, the Fifth Monarchists were violent revolutionaries (the ‘paramilitary wing’ of the radical Baptists and Independents) and the Muggletonians provided an undemanding if slightly eccentric path to assured salvation. Given Bradstock’s previous research interests and publications, it is not surprising that the chapter dedicated to Gerrard Winstanley and the Diggers is the strongest. He provides a clear and detailed explanation of the Digger vision, in which the fall of humanity was understood in terms of the emergence of private property, causing violence, inequality and injustice. It is interesting to note that, apart from the belief that the earth should again become a ‘common treasury for all,’ most other Digger ideas reappear in the emerging Quaker movement. This includes a belief in Christ’s return inwardly and spiritually, a commitment to non-violence and the rejection of social graces such as hat honour. Having outlined the many strengths of the book, it has to be said that it contains a number of weaknesses. The level of theological analysis offered for each group is quite variable. 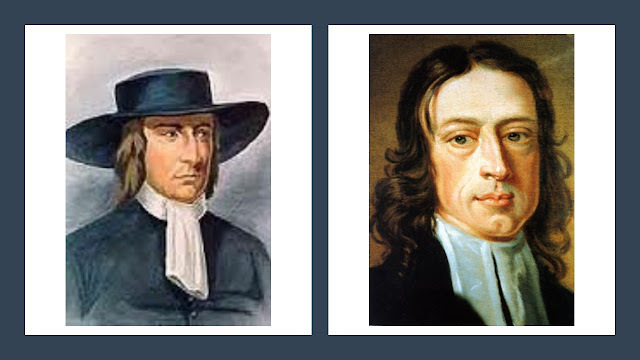 The attention given to the theological foundations of the Digger movement is both rich and detailed; however, Quaker theology is somewhat neglected in favour of a focus on the political impact of Friends and the response they provoked from those in power. Bradstock notes that none of the Quaker distinctives were entirely new and this may explain the limited attention he gives to their theology. However, one might argue that it was the unique combination of beliefs and practices and the way they were lived in the world that made the early Quaker movement innovative and influential. The Levellers receive the least theological attention and, although Bradstock debates the point, he does seem to accept that this group was essentially a forerunner of secular democratic movements. In his treatment of this period, Bradstock appears to neglect the influence of socio-economic factors, arguing that the English Civil War was essentially a war of religion (p xiv). However, in seventeenth-century England, religion and politics were inextricably bound together and could not be separated in any meaningful way. Bradstock’s perspective is somewhat surprising, given the obvious influence of Christopher Hill and other Marxist historians on his thinking. Some consideration of the impact of the transition from Feudalism to Capitalism on the emergence and development of these groups would have been useful. Bradstock debates the appropriateness of applying the term ‘radical’ to the groups outlined in the book. The etymology of the word ‘radical’ suggests a ‘return to the root’. In the case of both Baptists and Quakers, it is clear that the desire to return to the purity and simplicity of the apostolic church was a key preoccupation. Unfortunately, he pays little, if any, attention to the ‘Christian primitivism’ evident in many of these movements. Bradstock’s treatment of the Quakers also raises a number of concerns. His profile of the group relies too heavily on Barry Reay’s account in The Quakers and the English Revolution and his guidance on further reading is not well-balanced. Although he lists valuable works by Catie Gill and Phyllis Mack about Quaker women, he excludes such essential references on early Quakerism as Douglas Gwyn’s The Covenant Crucified and Rosemary Moore’s The Light in their Consciences. Surprisingly, Bradstock accepts uncritically the traditional account of James Nayler’s re-enactment of Jesus’ entry into Jerusalem at Bristol in 1656, asserting that his behaviour confirmed people’s worst fears and brought the Quaker movement into disrepute (p.111). This ignores the political machinations of a Parliament intent on repression, the impact of internal leadership struggles and the fact that Nayler’s conduct was non-violent and in line with the early Quaker use of outward signs to represent inward spiritual experiences. As a result, Bradstock adopts a perspective that appears to blame the victim for the persecution he suffers. Finally, one or two questionable assumptions are evident. In his description of Fox’s Pendle Hill vision, Bradstock suggests that this convinced him of his calling to found a new church (p.96). However, it is clear that Fox’s outlook at this time was far more eschatological than denominational. Bradstock also refers to Quaker belief in the ‘inner light’; a term that Rosemary Moore argues was not used by early Friends. Nevertheless, despite these reservations, Andrew Bradstock’s Radical Religion in Cromwell’s England represents a valuable introductory reference for anyone interested in finding out more about these intriguing groups and the turbulent religious and political circumstances in which they emerged. As Christians begin to come to terms with the circumstances of post-Christendom where the Church no longer finds itself at the centres of power, the stories of radical religious groups such as these provide valuable insights into the experience of living as disciples at the margins of society. This book will wet the appetites of many readers who, in addition to exploring the author’s recommendations for further reading, will want to seek out more comprehensive bibliographies. Gill, Catie, (2005) Women in the Seventeenth-Century Quaker Community (Ashgate), Mack, Phyllis, (1992) Visionary Women: Prophesy in Seventeenth-Century England (University of California Press), Gwyn, Douglas, (1995) The Covenant Crucified: Quakers and the Rise of Capitalism (Pendle Hill Publications), Moore, Rosemary, (2000) The Light in their Consciences: The Early Quakers in Britain, 1646-1666 (Pennsylvania State University Press).